Friends, here again Keerthi with this time with an review about one of the things that we frequently change and yet find it difficult to find the one that we need exactly, yes this review is about Shampoo and the product is LOREAL PARIS Fall Repair 3X Anti-Hair shampoo. Straight from the look and feel of the package this shampoo looks very promising and it addresses the important things like nourishment of Hair, Helps with stronger hair and restructuring hair fibre which helps in fighting the hair fall. Did this Shampoo helped me? Let’s find out in the review. Loreal Paris Fall Repair 3X Anti-Hair Fall shampoo and Conditioner both are comes in a pretty black sturdy bottles with flip open cap. Travel friendly packaging. I’ve dry hair and occasional trouble with dandruff, so most of the products that I tried earlier led to more dry hair and that led to more hair fall but this one didn’t dry out the hair and that helped in less hair fall, I’ll not say it totally stopped the hair fall but it did help me a bit, for dandruff this shampoo is not the answer and one needs Anti Dandruff shampoo as this one though it has Salicylic acid in the ingredients list, using this Shampoo alone led to more dandruff for me, for this reason while I was using this shampoo I was using other products which took care of the dandruff problem. After the bath it gives you silky and shiny hair which stayed like that for 2 days maximum for me which is quite acceptable as that was the result of most of the products that I’ve used. The Shampoo smells like rose and the smell is bit strong but the conditioner has very mild smell and works well on the hair. Overall I’m happy with this shampoo and recommend to anyone who has normal to dry hair, it doesn’t do any harm so give it a try and it may suit you well. Anyways I have stopped using this as my hair fall problem got reduced. Currently I am using Sunsilk Shampoo, yeah will review it soon. Controls hair fall upto you use this shampoo. Doesn't dry out the hair too much. Lathers well and cleanse the scalp well. Conditioner makes the hair shiny and soft. This shampoo is not a solution for your whole hair fall problem. Tested on animals :( . 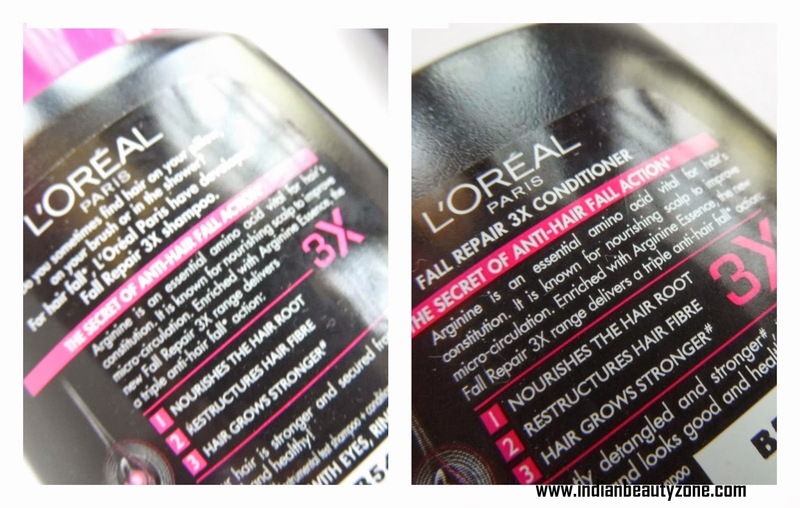 Loreal Paris Fall Repair 3X Anti-Hair Fall Shampoo and Conditioner is a good pick to control your hair fall. I have heard for somebody this won't suits and increases hair fall. So, do check with your hair and continue to use it. Nice review dear. Will love to try it out! L'Oreal doesn't suits on my hair. But i like its smell its very tasty and strong. Any ways very informative review regarding this post. 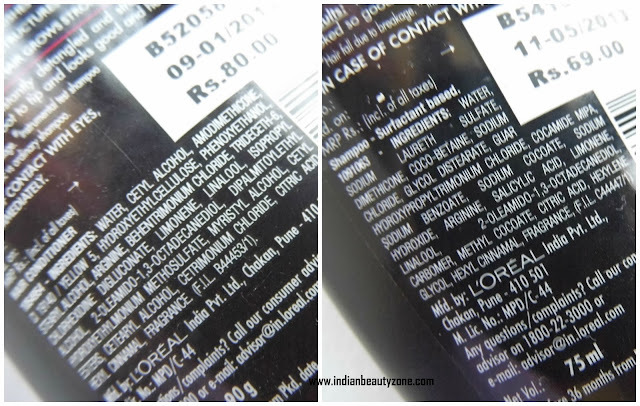 But I must say Pantene is far better than this. i used this earlier but didn't worked for me! Nice review. Facing hair fall but skeptical to use this.